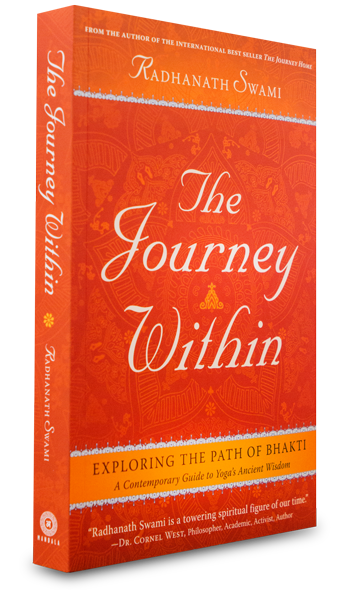 Here I blend my personal experiences with relationships, with the wisdom of the Vedas. Here I share knowledge of parenting and teaching with the world. Once there was a man who liked to eat mangoes. One day he decided to get the sweetest mango available, from the very top of the tree. 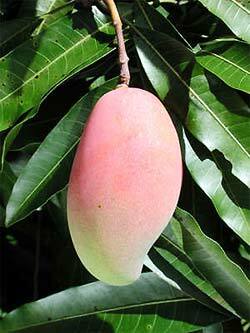 Mangoes which are most exposed to the sun are the sweetest. So he climbed up to the top, where the branches were thin. He managed to pick up a few sweet reddish fruits, but in attempting to go back down, he slipped and started falling towards the ground. Fortunately, he caught a branch as he was falling and remained helplessly hanging on the tree. Then he started to call nearby villagers for help. They immediately came with a ladder and sticks, but could do little to help him. Then after some time his wife arrived. People were very curious as to what she would do. The wife was silent for a minute and then picked up a stone, and threw it, hitting the hanging husband. His wife was silent. Then again, she took a stone and threw it so that it hit her husband in the tree. The man (the husband) was furious, “If I could just come down, I would show you…!” That’s what everybody wanted, that he comes down, but how? Now everybody was tense, what would happen next! Some wanted to chastise the wife, but they didn’t. The wife picked up another stone and threw it again at the man, even more forcefully. Now the man in the tree completely flipped out and developed a great determination to come down and get revenge. He then used all of his skill and strength and somehow managed to reach the branches which were safe enough for him to climb down, and he made it! “Where is my wife?” – exclaimed the rescued man. “Oh, she is wise, so she didn’t wait for you to beat him,” said the villagers.”I will really smash her completely when I get hold of her,” said the man. “Hey, wait a minute, she is the only one who helped you, she is the one who provoked you, who induced you to help yourself,” said one of the villagers. So this is an instructive story. A real spouse helps you, sometimes in strange ways, to take initiatives in your life. Really very instructive story.Thanks for sharing it. This is very instructive story. Nice story! But we have to understand the intention behind the actions of our loved ones. They may seem strange but done for our benefit. Funny story but quite interesting! HH Radhanath Swami says, the spiritual master is sometimes acts like a thunder bolt and sometimes acts like a soft rose all in the benefit of the disciples. This story also conveys very nicely the same meaning. What a wife – she seems to know how to use his anger to save his life! A humorous story with a deep message – a great story to share! Amazing story and a great takeaway for us. Thank you for sharing. :) this story is like suger coted pill. Nice message conved in very interesting way. Thanks for sharing. Very intelligent wife who knew how to use anger constructively……….a true person knows the strenghts & weaknesses of his/her partner…..
Amazing article; one must be really have patience and tolerance in order to be successful in Family life. Indeed an interesteing story woth a moral so very practical and crucial but still difficult to understand. The story conveys it so nicely that our spouse knows our strength better than us and help us in putting them to best use in right situations. Amazing story..very nice lesson. Thank you. HH Radhanath Swami Maharaj ki Jai!!! The more weeding you do, the more beautiful your garden becomes. The more negativity you remove in married life, the more beautiful your relationship with your spouse becomes, and the more your family becomes united with God in the centre! I have never been married. As a Swami, I will never get married. So I don’t know so much about married life. But because so many married people come to me with their problems, I know too much about married life. Whenever people come to me it’s like they have such a unique secret problem that’s so much their own. But interestingly, almost everyone tells me the same thing….. Copyright © 2016 - Sacred Bonding - All rights reserved.